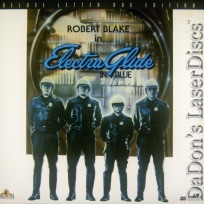 Electra Glide in Blue 1973 - 106 min. 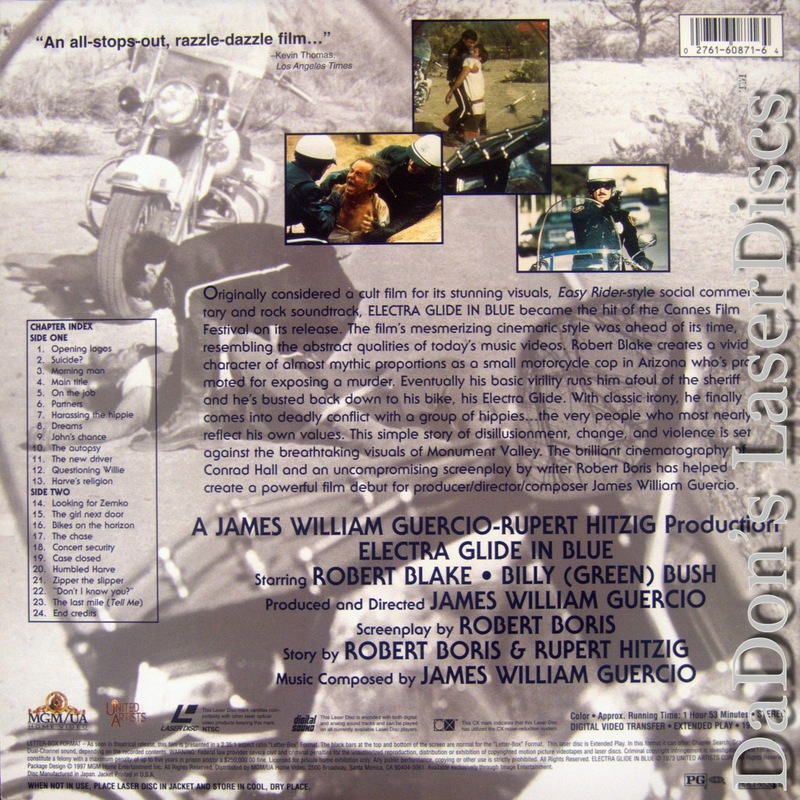 - Color Genre: Drama LaserDisc Movie Review: Despite being "height challenged," John Wintergreen (Robert Blake) becomes an Arizona motorcycle cop. Wintergreen does his job well enough to qualify for the position of detective, but The System constantly puts him down. He proves his mettle while investigating a murder. Unfortunately, fate has other things in store for the hapless Wintergreen. 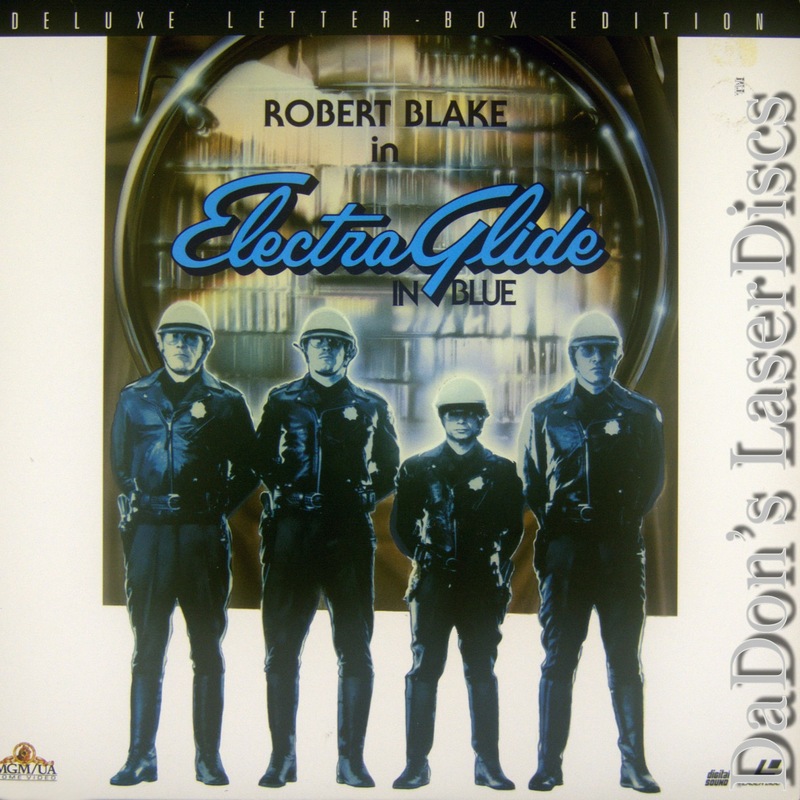 You can't help but love Blake in Electra Glide in Blue, especially since he's surrounded by such heartless souls as Billy "Green" Bush as his volatile partner and Mitchell Ryan as his flint-faced superior. Veteran Elisha Cook, Jr. does his usual as an unhinged murder suspect, who may be too obvious to be true. The producer/director of Electra Glide in Blue was William Guercio, a former member of Frank Zappa's rock aggregation. --- Hal Erickson Thanks for Visiting DaDon's Rare LaserDiscs ! Reviews, Articles, Newsletter and Information for Movies on LaserDisc LD Laser Disc, LazerDisc.